Ram Sewak Sharma said he challenged people to show him how their knowledge of his unique identity number could be used to harm him. 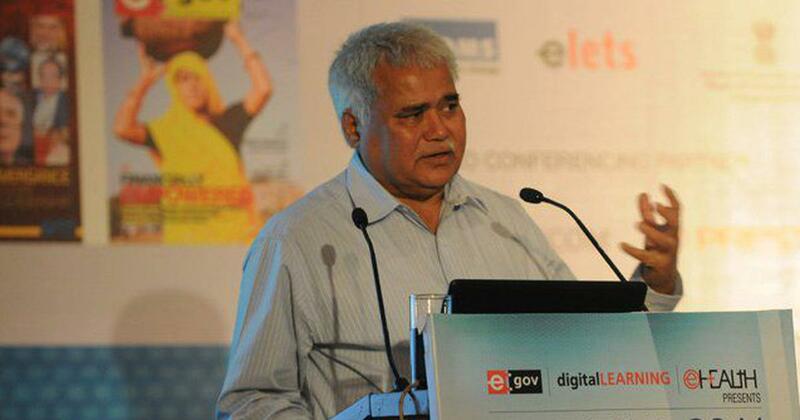 Telecom Regulatory Authority of India Chairperson Ram Sewak Sharma on Saturday shared his Aadhaar number on Twitter, challenging people to show him how their knowledge of the unique identity number could be used to harm him. However, it led to severe backlash on Twitter with several users claiming that they were able to obtain his personal details, such as his PAN and mobile number, using the Aadhaar number. 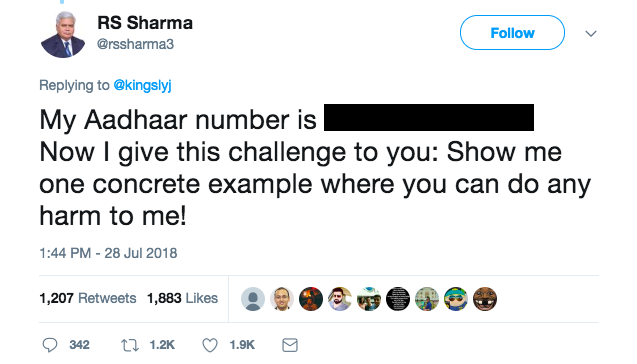 “My Aadhaar number is.....Now I give this challenge to you: Show me one concrete example where you can do any harm to me!” Sharma wrote on Twitter, seeking to debunk the theory that Aadhaar compromises a person’s privacy. Some Twitter users claimed to have dug out his mobile number, photographs, residential address, date of birth and even chat threads based on his Aadhaar number. Others cautioned him against challenging people in such a way on social media. However, Sharma continued to engage with Twitter users till Saturday night, and also said that his personal details shared by some users were “fake”. “I am not trying to prove anything,” he added in another tweet. “Please understand that I am merely trying to disabuse the mis-information around Aadhaar. 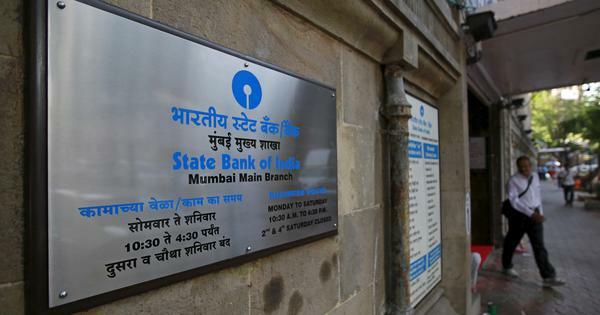 “...Yeh details koi state scret nahin hain [These details are no state secret],” Sharma told one user and chided them for disclosing an old address, and asked if they wanted his latest address. He did not verify if the PAN that was revealed was correct. “Let the challenge run for some time,” Sharma told PTI later in the day, refusing to make any detailed comment on the matter. It is, indeed, a fake news. I published my own Aadhaar number, as a response to a twitter post, and challenged as to what harm can be caused due to my Aadhaar number. It is not that my Aadhaar number was ‘leaked’. I am not trying to prove anything. I am just saying that by knowing my Aadhaar number, which by the way, is a random 12 digit number, you cannot cause any harm to me. Please understand that I am merely trying to dis-abuse the mis-information around Aadhaar.